The corner of King Street West and Blue Jays Way has long been on Matthew Slutsky’s radar. “I’ve always loved the Canadian Westinghouse Building and think the location is fantastic,” says Slutsky, President of BuzzBuzzHome.com. 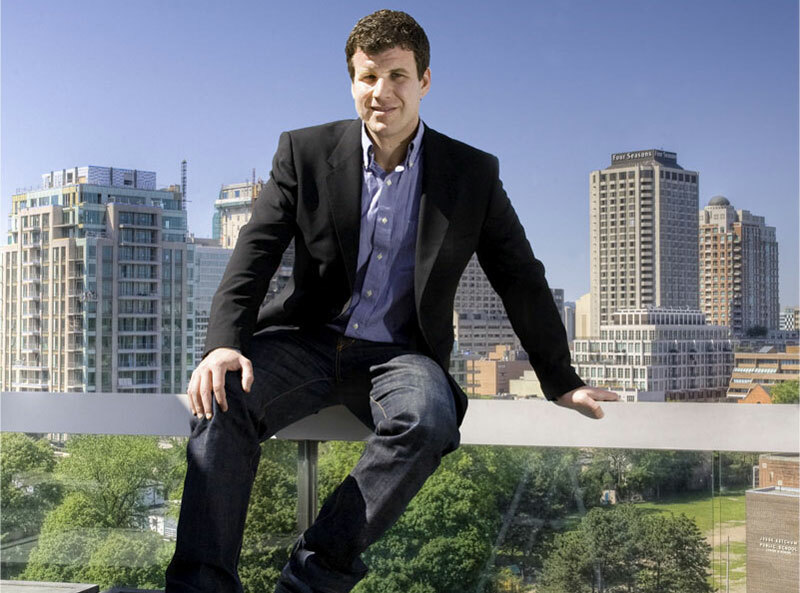 “When my team informed me the property was sold to the Easton’s Group and would be turning into a condo, I got excited at the possibility of purchasing there.” As the head of North America’s leading online community for new residential development, Slutsky no doubt had the expertise to navigate the Toronto condominium market when he and his wife began their search for an investment property. “Our plan is to have a cash-flow positive property to rent to young professionals in the city,” he says. When Slutsky visited the King Blue Condos Presentation Centre, he met with Easton’s Group’s President and CEO Steve Gupta for a tour of the building and the model suite. “I could feel the passion and love he was putting into the building,” he says. “He told me about the architecture, the design, the layouts, and I could tell the project was not just his job but his craft. The couple decided on a 505 square-foot one-bedroom suite at King Blue for their investment property. “The unit is looking east and the layout is excellent,” says Slutsky. “The view will be great.” They particularly liked the range of amenities and the features and finishes that would come standard with their suite, such as integrated stainless steel appliances, solid-wood baseboards and glass cabinetry. In a neighbourhood surrounded by some of the city’s fastest growing companies, vibrant nightlife and notable restaurants, King Blue residents will be able to conveniently live, work and play just a short walk from home. “In an industry where the mantra is, ‘location, location, location,’ this project cannot be beat,” Slutsky says. 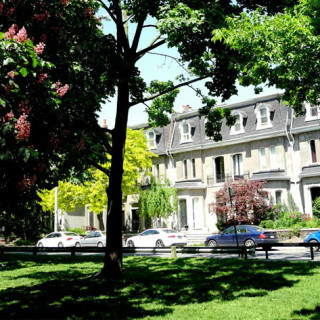 Whether you’re buying a future residents or the ideal investment property in the city, the corner of King Street West and Blue Jays Way offers style, comfort and convenience at an unbeatable price. Here luxe is not simply the highest standard, it’s the way of life and you’re invited to live it with us. 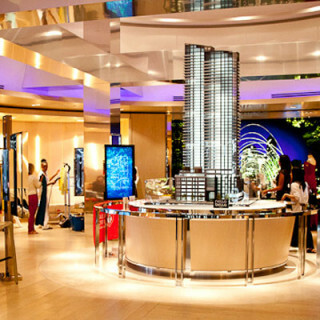 Visit us at the Presentation Centre at 355 King St. W today and get in on the buzz at the Entertainment District’s hottest selling condominium project.